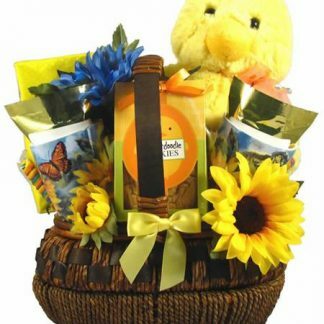 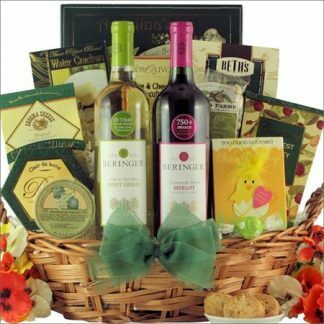 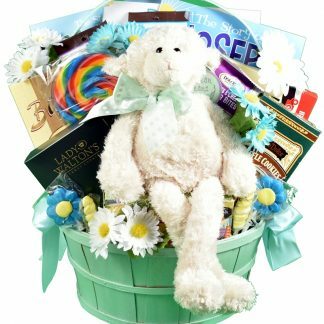 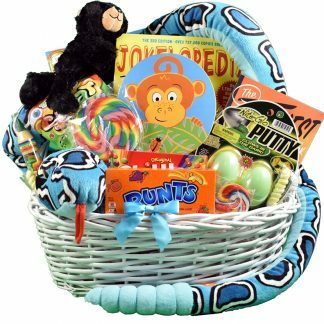 Bright, bold, cheery and colorful, this is a gift basket that will brighten any day or any room. 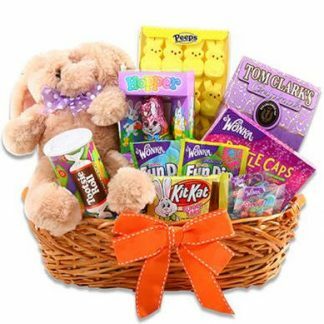 Anyone with a sweet tooth will thoroughly enjoy all the unique treats loaded into this basket. This unique gift arrangement delivers more than just gifts and goodies – it is sure to deliver lots of smiles too!! 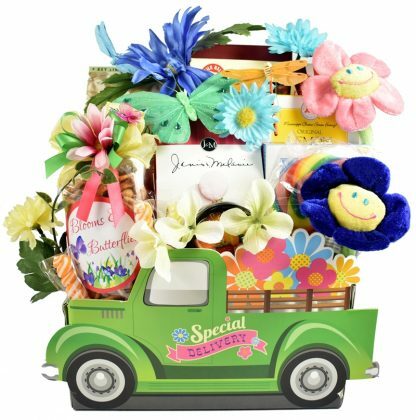 It is such a cheerful gift that would be the perfect choice for almost any occasion! It features a designer flower cart truck that is loaded and up and ready to deliver a large selection of some of Gift Basket Villages’ favorites!